With new a direct flight starting this month from Dallas, TX to San Luis Obispo, CA, there’s no reason not to book a getaway to the happiest city in America. Hop on the next flight to San Luis Obispo and come be delighted here. Located halfway between San Francisco and Los Angeles on the Central Coast, San Luis Obispo is a hidden gem of picturesque views, local restaurants, rolling vineyards, and craft breweries. We’ve crafted a list of some of the top reasons why you should catch a nonstop flight to California’s Central Coast for your next vacation. 1. Beautiful sunshine and year-round mild temperatures. 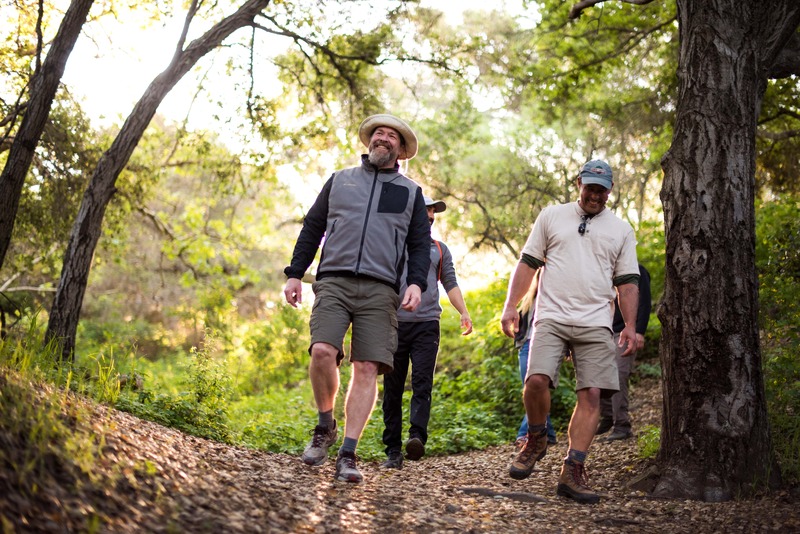 San Luis Obispo is known for having extraordinary weather, with plenty of sunny days that allow you to get outside and enjoy the green, rolling hills. And though Texas may have bluebonnets, we have acquired beautiful wildflowers of our own thanks to our recent rain spell. Come enjoy our hikes, bike rides and more out in the great outdoors. 2. BBQ is our specialty. From Santa Maria-style tri-tip to tender brisket and flavorful pulled pork, you are sure to get some of the best BBQ right here on California’s Central Coast. Our signature cuts and delicious meat keep tourists and locals coming back for more. Enjoy dining in at one of our lively restaurants or stop by the famous Downtown SLO Farmers’ Market on Thursday nights to see the pitmasters in action. Here in San Luis Obispo, we value locally-grown produce and farm-to-table cuisine. You can find both in Downtown San Luis Obispo for our weekly Thursday Night Farmers’ Market. Enjoy booths lining Higuera Street featuring local organizations, homemade craft goods and live entertainment. 4. Concerts and nightlife galore. 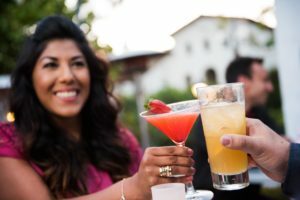 Spend the night jamming to your favorite artists and sipping on local craft beers—several venues in San Luis Obispo are always hosting musicians from all genres, from country to indie rock. If country music is your go-to, take part in line dancing at The Graduate or purchase tickets for Boots and Brews, San Luis Obispo’s country music festival in September. 5. Sip on some craft beer. Here in San Luis Obispo, we’re pretty proud for our craft beer, and there are plenty of breweries to explore for any taste—IPAs, blondes, sours and beyond. Take a guided craft beer tour, go brewery hopping through Downtown SLO or visit during a trivia or open mic night. You’ll be sure to be “hoppy” no matter how you choose to spend your boozy day! 6. Tacos, tacos, and more tacos! San Luis Obispo’s melting pot of cuisines is even represented in tacos, which will leave your mouth watering any day of the week. Tacos in San Luis Obispo vary from traditional Mexican meats such as carne asada, al pastor and carnitas to more unique ones like Spanish-inspired Beer Battered Rockfish from Luna Red and Lemon Pepper Chicken from The Mark Bar and Restaurant. 7. Restaurants around every corner. Much like Dallas’ diversity in restaurants, San Luis Obispo offers a variety of eateries to satisfy any craving. Whether you’re in the mood for Spanish, Asian fusion, burgers or Napoletana-style pizza, we’ve got it. You’ll be sure to enjoy the flavorful, farm-to-table dishes created with love, care, and the freshest ingredients. 8. Museums that showcase San Luis Obispo’s history. Even when on vacation, you can never stop learning. 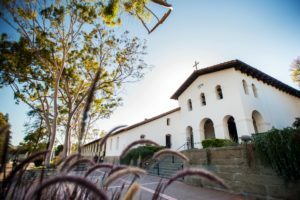 San Luis Obispo’s rich history has been preserved and translated into iconic museums and landmarks that you won’t want to miss. From Mission San Luis Obispo de Tolosa to SLO Museum of Art to San Luis Obispo Railroad Museum, you can explore San Luis Obispo’s roots. 9. Shopping galore in Downtown San Luis Obispo. Both boutiques and trendy chain stores line the streets of Downtown San Luis Obispo for any man, woman, and child to shop until they drop. Looking for a stylish new outfit, Cal Poly memorabilia or a birthday gift? We have it all. Stroll the streets of Downtown SLO and see what businesses catch your eye. 10. Wine tasting in beautiful Edna Valley. 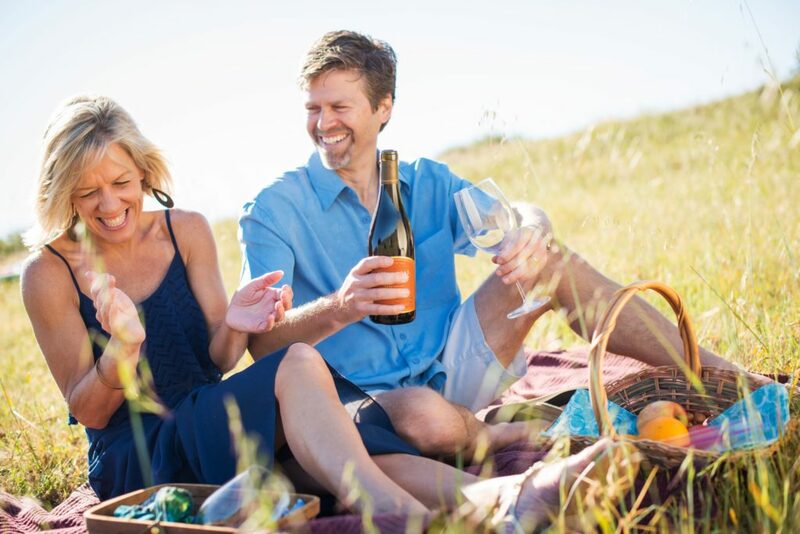 Edna Valley in San Luis Obispo offers numerous wineries where you can taste some of California’s best Pinot Noir and Chardonnay wines. Tasting rooms are typically open daily so you can pick and choose your wine tasting destination. Alternatively, book a tour with a guide who will pick you up and drive you to different tastings while offering wine education unique to the region. So, what are you waiting for? Book a flight from Dallas directly to San Luis Obispo and start planning your getaway today. We can’t wait for you to be here, Texans!